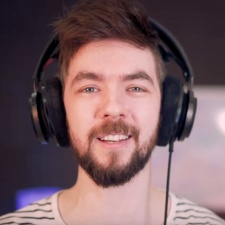 Talent agency WME has added YouTuber and popular gamer Seán 'Jacksepticeye' McLoughlin to its roster of clients. McLoughlin's channel has amassed over 21 million subs, making it one of the top 50 most-subscribed-to channels on YouTube. WME plans to represent McLoughin in all areas of his business. The 28-year-old IrishYouTuber began uploading videos under the Jacksepticeye brand back in 2012. In 2016, he signed with Revelmode, a creator network set up by fellow YouTube star Felix 'PewDiePie' Kjellberg. McLoughlin also has a major following on both Twitter and Instagram, with 5.9 million and nearly 5 million followers respectively. McLoughlin will continue to be represented by manager Nicole Graboff, and attorneys Ryan Pastorek and Adam Kaller while joining up with WME. Outside of YouTube, McLoughin partakes in a lot of charity work. He’s raised thousands of dollars for a number of organistions including Save the Children and the Make-A-Wish Foundation. McLoughlin also occasionally collaborates with Kjellberg, who also gave him a huge boost in popularity back in 2013.